OKMULGEE, Okla. (AP) � Authorities in eastern Oklahoma say a 16-year-old girl has died after being shot in the head by her mother while she slept. Okmulgee County Sheriff�s Investigator Duston Todd said in a news release that Kloee Toliver �succumbed to her injuries� Tuesday night. Toliver�s mother, Amy Hall, told officials that she shot Kloee early Nov. 1 at their home in Okmulgee, about 35 miles (55 kilometers) southwest of Tulsa. Hall also fatally shot her 18-year-old son, Kayson Toliver, and tried to shoot her 14-year-old daughter. Kloee Toliver was declared brain dead earlier this week, but was kept on life support until her organs could be donated. Hall is jailed on a first-degree murder charge in her son�s death. Todd says another first-degree murder charge will be added in her daughter�s death. Last edited by Steven; 12-01-2018 at 10:02 AM. OKMULGEE, Okla. (AP) — First-degree murder charges have been filed against an Oklahoma woman in the fatal shootings of her teenage son and daughter. Autorities say Kayson and Kloee were both shot on Nov. 1 in their home about 35 miles (55 kilometers) southwest of Tulsa. Kayson died at the scene while Kloee died on Nov. 6 after being declared brain dead. BEGGS, Okla. � A judge who is overseeing the case of an Oklahoma mother accused of shooting her three children will not recuse herself. In November, dispatchers with the Okmulgee County Sheriff�s Office received a 911 call from Eddieson Baldridge, who was staying the night at his best friend�s home. He says he and his best friend, 18-year-old Kayson Toliver, were asleep when he heard some noise on Kayson�s side of the bed. When authorities arrived at the scene, they found two teenagers suffering from gunshot wounds and the body of 18-year-old Kayson Toliver. A court affidavit claims the children�s mother, Amy Hall, told the district attorney that she �was so sorry� for what she �had done� and allegedly admitted to trying to kill her three children. In the affidavit, Hall allegedly admitted to shooting Toliver in the head while he was asleep. She then allegedly shot 16-year-old Kloee Toliver in the head, which woke 14-year-old Nikole Toliver. Hall reportedly shot at her as she ran to a bathroom. Officials say Amy Hall mentioned her ex-husband, and said part of her thought she was saving her children. Kayson Toliver and 16-year-old Kloee Toliver died as a result of their injuries. Hall was arrested and charged with two counts of first-degree murder and one count of shooting with intent to kill. Hall�s defense attorneys requested that the judge presiding over her murder case recuse herself since she is also presiding over a case involving Nikole Toliver, the child who survived. However, the judge denied that motion. Hall�s preliminary hearing is set for March 8. BEGGS, Oklahoma - The home of murder suspect Amy Hall is a pile of ashes. Her brother owns the property and set fire to the home in a controlled burn. People living here in Nuyaka tell me it's hard to describe how painful the loss of Kayson and Khloe has been for this community. Now, the home where the tragedy happened, is gone. The home is located near Nuyaka in Okmulgee County, but the siblings attended school in Beggs. 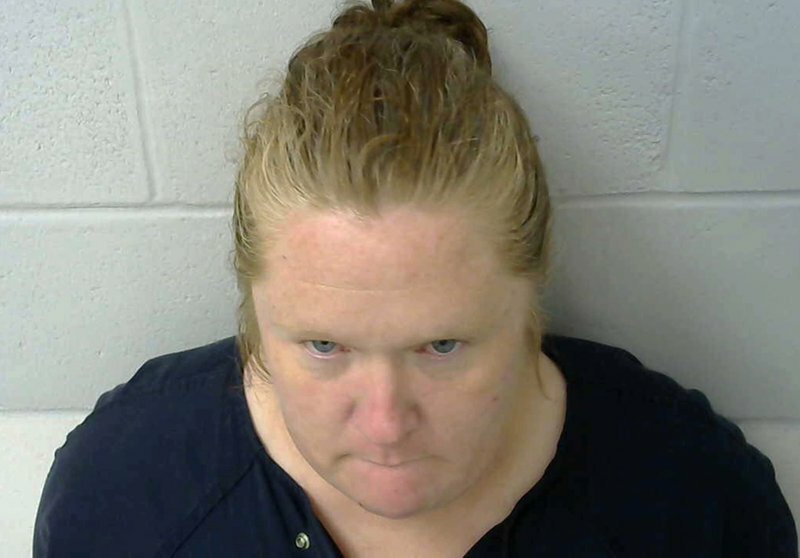 Amy Hall is charged with shooting her son and two daughters on November 1, 2018. Her son Kayson Toliver, 18, died in the house. Her 16-year-old daughter, Kloee, died a few days later. Hall's other daughter survived. The Nuyaka Fire Chief says Hall's brother called them ahead of time and told them he was going to burn down the house down and that the fire department did not need to respond. We've had questions from people wondering if the investigation was impacted in any way now that the murder scene is destroyed. Okmulgee County Sheriff's Deputies say the property owner was well within his right to set fire to the home. Deputies say the investigation at the house is over and once the investigation ends, the property is turned back over to the homeowner. The family did not want to comment. Hall is scheduled to be in court one month from now. She's in jail on two counts of 1st-degree murder and one count of shooting with intent to kill.